The state of Florida has only recently adopted craft beer into its drinking culture. That’s largely due to Prohibition-era blue laws that make it difficult to open a craft brewery. As a result, the majority of craft breweries here are less than three years old. But what the state lacks in longevity, it makes up for with creativity. Why did the craft beer scene take so long to explode in Florida? There is no better person to answer that than Phil Palmisano, head of marketing and brand manager from Barrel of Monks. Beyond the current liquor legislation on the books, Palmisano sees other cultural factors contributing to craft beer’s late arrival to the Sunshine State. 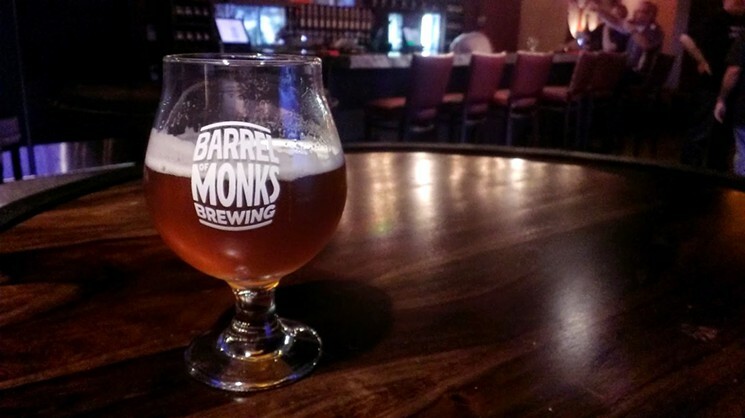 Barrel of Monks is the newest craft brewery to hit the Palm Beaches area of Florida, and is the only brewery in the state entirely dedicated to Belgian-style beers. 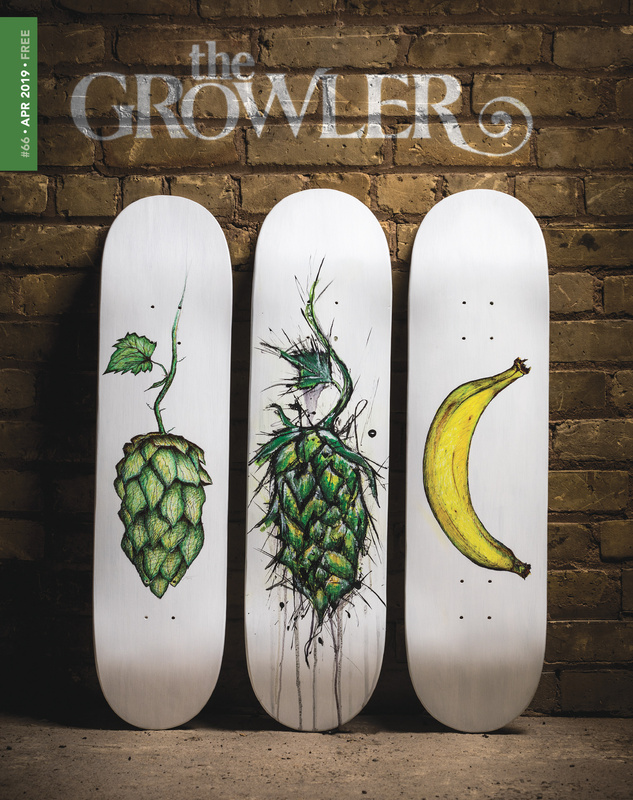 The brewery comes after long-time friends Matthew Saady, Keith DeLoach, and Bill McFee had been homebrewing for over seven years, perfecting their recipes. In addition to the all-Belgian lineup on tap, featuring over 10 different styles, the brewery has dedicated much time and energy to making the best saison possible. A great choice for Florida’s climate, their saison was designed to emulate the beers made for summer consumption in farmhouses in the southern part of Belgium. It is best thought of as a refreshing summer ale and, since it is always summer in South Florida, one can enjoy the easy-drinking beer all year round. If Florida has a signature craft beer, though, it would be the Berliner weisse. 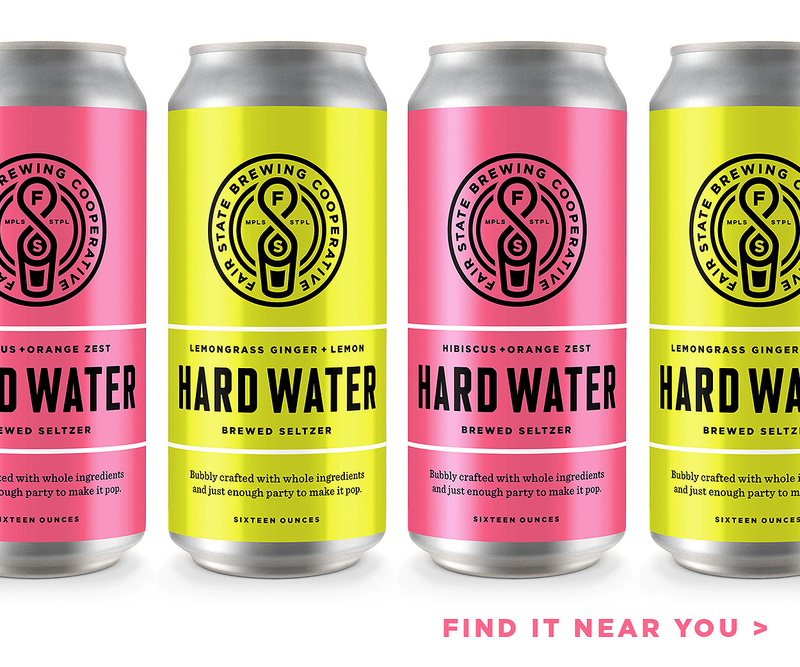 In fact, the light, slightly tart, easy-drinking beer is so popular it’s been dubbed “Florida-weisse” and the “champagne of the state” by the local community. Many Florida breweries make a version of this German beer style, and often they are fruit-forward—which is a wider trend in the state, given the year-round availability of local fruit. You will see fruit in everything from J. Wakefield Brewing’s dragon fruit/passion fruit Berliner to Cigar City’s Guava Grove. 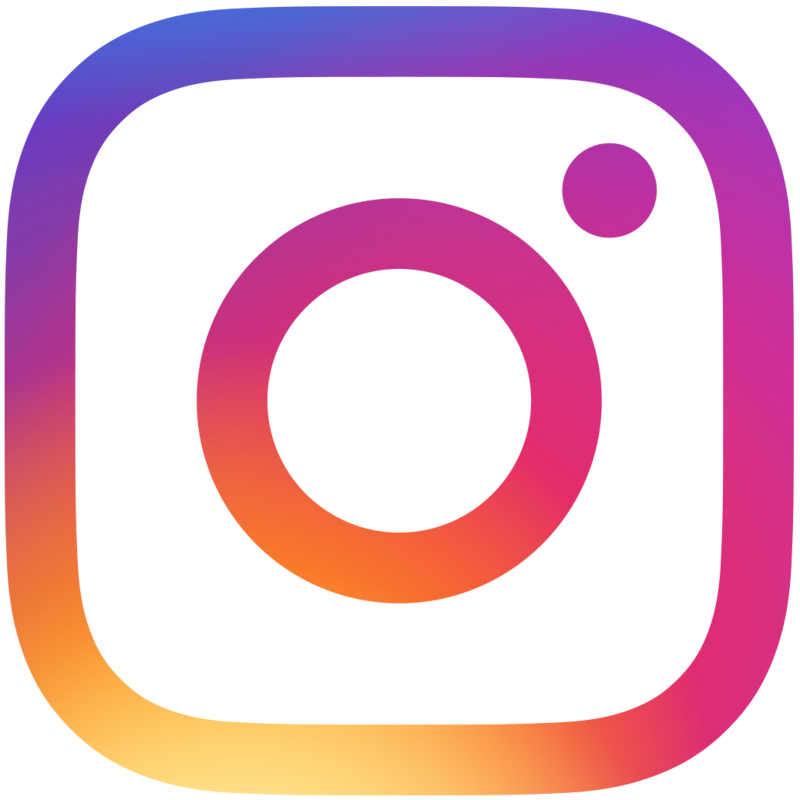 One member of that family is Due South Brewing Company, which has been around since 2012 and was opened by husband and wife team Mike and Jodi Halker. After many years of homebrewing on their back porch, Mike and Jodi brought their colorful approach to beer to the craft beer scene—wasting no time pushing the envelope in terms of flavors combinations for their beers. 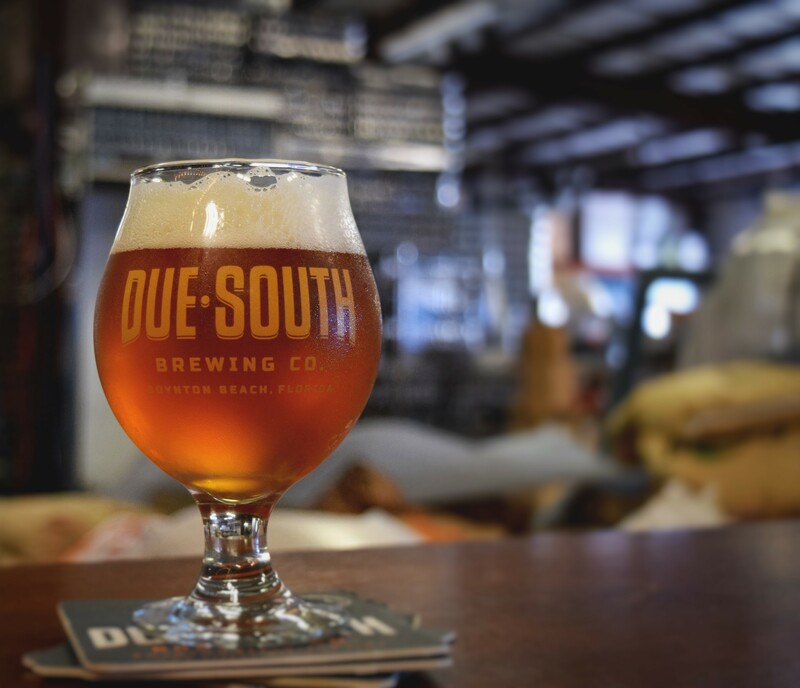 Although Due South makes traditional stouts and IPAs, their most talked-about beers use ingredients like chocolate, chili peppers, caramel, and cinnamon. Mexican Standoff Porter and Maple Orange Imperial Caramel Cream Ale have even earned them an invitation to the famous Extreme Beerfest in Boston in recent years. Genuine passion for exploring new flavors and improving each batch is critical in satiating the “what’s next” mindset of local drinkers, but that drive often extends beyond the beer in the glass. Saltwater Brewery, Delray Beach’s first local production microbrewery, is marrying its passion for beer with its dedication to ocean conservation. The brewery recently made news for introducing edible six-pack rings, made of barley and wheat ribbons from the brewing process which are entirely safe for ocean animals to eat. Rye To Bed Double Rye IPA on tap now! At 8.4% ABV and 106 IBU this garnet colored beauty is packed with citrus hops and spicy rye. Come and get it! Happy hour 3-6pm. Another craft brewery worth a stop in the south of the state is Twisted Trunk. Having opened in February 2015, Twisted Trunk is the second newest addition to the Palm Beach area’s collection of craft breweries and is named after the banyan tree, the symbol on the city of Palm Beach Garden’s seal. Visitors here can enjoy seven beers on tap, most of which can also be packaged in 32-ounce refillable growlers to take home. 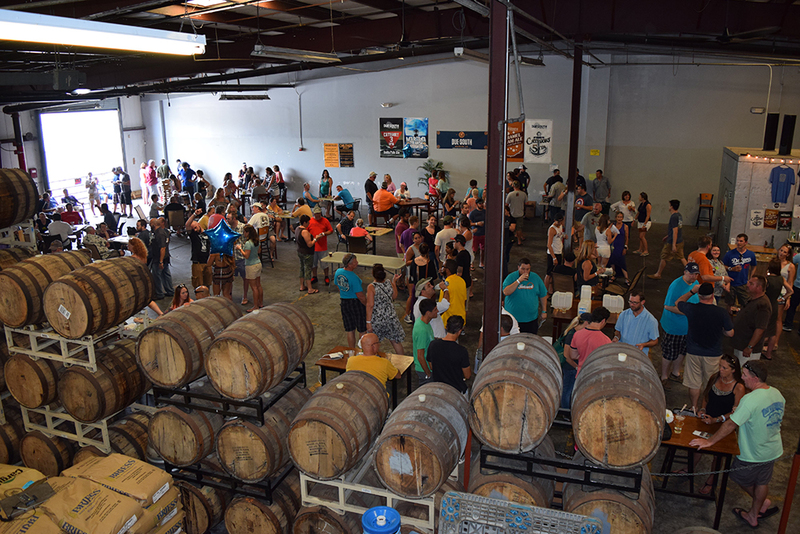 With a slew of new craft breweries opening, laws changing, and a population that is thirsty for more options, it appears that craft beer scene in Florida is about to explode, in the best way possible.